Familierom, soverom og bad. Ovenpå er det et bad og dusj. I tillegg, 2 soverom med full størrelse senger og 1 soverom med en queen size seng med skylight. Blue Haven Farm er perfekt for din neste ferie. This is a comfortable and well stocked home. There was plenty of property behind the house for our granddaughter and dog to run around. We were there in the winter and the neighborhood was very quiet and peaceful while still having easy access to Lake Michigan, shops and restaurants. We had a great time with another family at this house. The inside is very clean and charming. The kitchen was large and was stocked with every kind of utensil or pot/pan that you could want. Sherin was extremely accommodating and responsive all throughout the process as well. The AC worked great, the family room was cute and cozy, and we were comfortable in the queen bed downstairs. I also feel the need to mention the stairs inside the home...they were steep and could be difficult for disabled people to get up and down on. The private beach was another bonus and is just beautiful. Overall, we really enjoyed our stay thanks to how responsive the owner is. This is a lovely, well-appointed home in a quiet setting. It has plenty of room for children to run around and explore. Having four bedrooms was a plus for us. We also appreciated the supply of fresh coffee to brew. We had a great time in this comfortable country home close to the lake. Owners were very communicative. House was comfortable, clean and quiet. 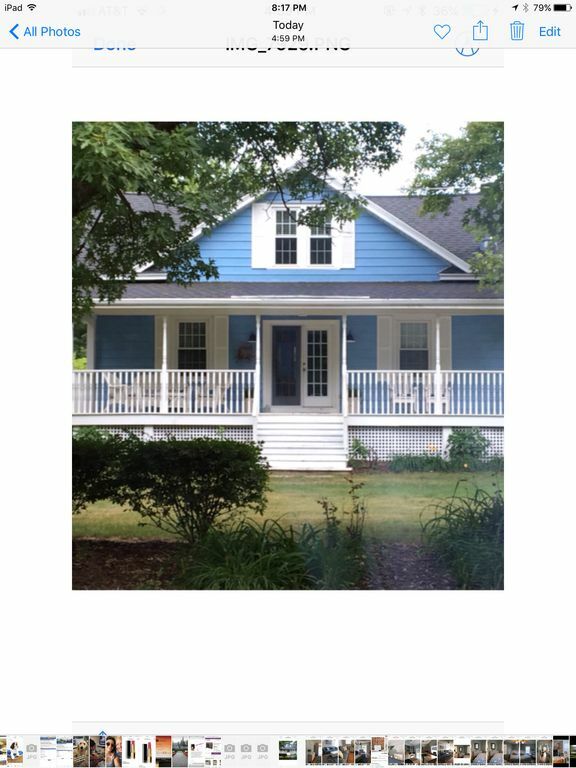 Property was lovely and close to beautiful private beach on Lake Michigan, great bakery, and family friendly activities. Wonderful place to get away and unwind. We will definitely return. - upstairs are three bedrooms. Others have noted you have to walk through one bedroom to get to a second. The third upstairs bedroom is separate. This worked for us as our kids slept in the connecting rooms. Well worth it! We had a wonderful stay during Labor Day weekend. The house was clean and spacious for 3 adults, 2 kids and a dog. Looking for a quiet place away from the city and this did it for us. We had a lovely stay in Harbert! Our group consisted of 3 couples, two of whom had babies. There was plenty of room to spread out, but also some great community areas to spend time together. Some other perks included a very well-stocked kitchen, an incredibly spacious first-floor bathroom, a washer and dryer (a necessity with babies! ), charming decor, tons of guidebooks/maps, a strong wifi connection, and easy access to restaurants, breweries, wineries, etc. (many within a 15 minute drive). One thing to note-- you have to access one of the upstairs bedrooms through another bedroom. This wasn't an issue for us, but I guess it could be for some people. Overall, we had a great stay in this gorgeous old house. I hope very much that we'll have the opportunity to return some day!